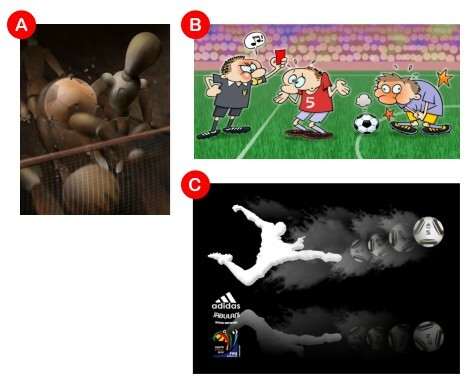 This is our shortlist for the quarterly contest on a theme of Football/Soccer, just finished. You get to pick the winner, so show your support for your fellow Xara artists and vote now. The deadline for votes is 25th October. I love the soccer Graphic illistration int he black, i love the power and feeling it hase, also how its the only one that actually looks like its related the world cup! Nothing was said about relating to the World Cup. Footie is 24/7 52 weeks of the year!